Ocean View (6C) -Two twin beds (convert to king) and single sofa bed. Sofa and coffee table. Desk and seat. Full bathroom with shower. 3 closets. Picture window offer excellent views of the ocean and sneak peeks of each destination. Stateroom amenities: Television Soft, comfortable, and cozy linens Hairdryer/Bathrobes 24-hour stateroom service Ample closet and drawer space. Ocean View (6B) -Two twin beds (convert to king) and single sofa bed. Sofa and coffee table. Desk and seat. Full bathroom with shower. 3 closets. 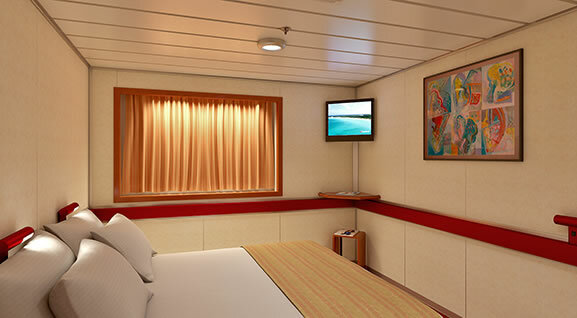 Picture window offer excellent views of the ocean and sneak peeks of each destination. Stateroom amenities: Television Soft, comfortable, and cozy linens Hairdryer/Bathrobes 24-hour stateroom service Ample closet and drawer space. Interior (4B) -Two twin beds (convert to king). Desk and seat. Full bathroom with shower. 3 closets. 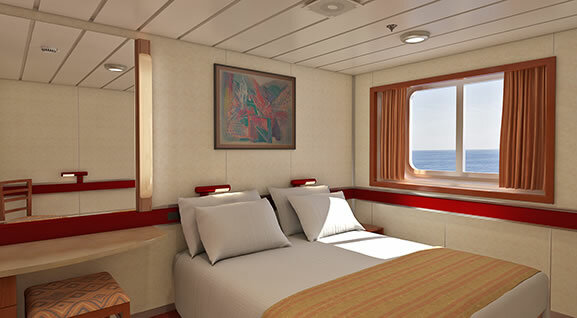 A comfortable stateroom retreat, where some rooms also feature pull-down beds  ideal for families. Stateroom amenities: Television Soft, comfortable, and cozy linens Hairdryer/Bathrobes 24-hour stateroom service Ample closet and drawer space. 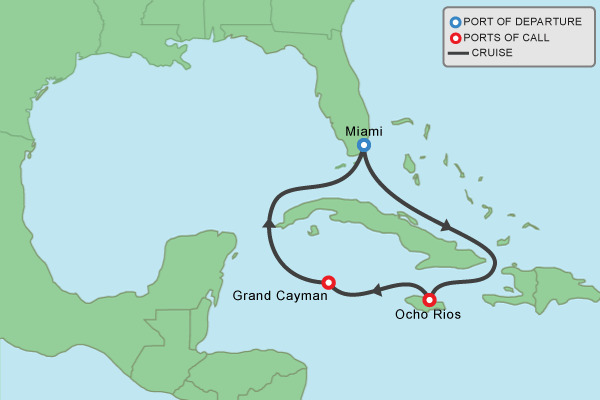 Port Charges, Taxes & Fees , Gratuities and Travel Insurance are included.